Buy a Gift Certificate to our Pittsford, NY bead shop for your favorite beader! 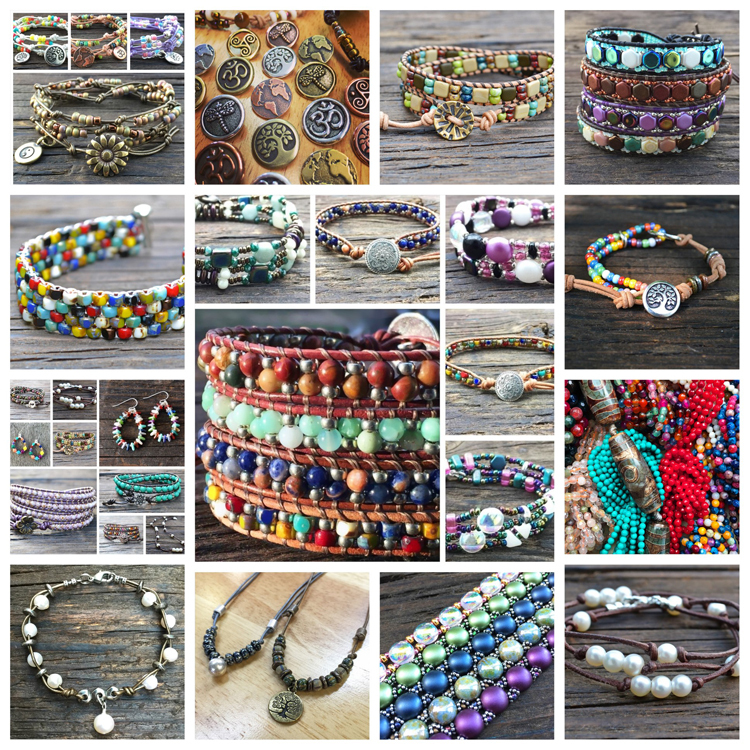 Visit our bead shop for supplies, kits, classes & inspiration! We Sell Jewelry Making Kits! Shop www.MyBeadKit.com for beginner-friendly kits! 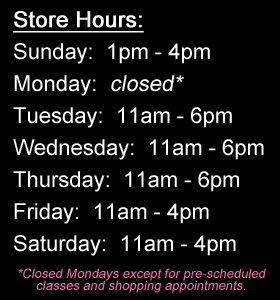 Visit our bead shop or shop online for your favorite kits! Semi-Precious Stones, Pewter, Pendants & Glass Paisley Duo’s! CANCELLATION POLICY: Please call Beads 'N Things at (585)586-7230 no later than 4:00 PM the Thursday prior to your scheduled class to make cancellation arrangements. No refunds will be issued after 4:00 PM the Thursday prior to your class. No refunds for no-shows. Due to the popularity of these events at Via Girasole Wine Bar, we are unable to change your ticket to future events. 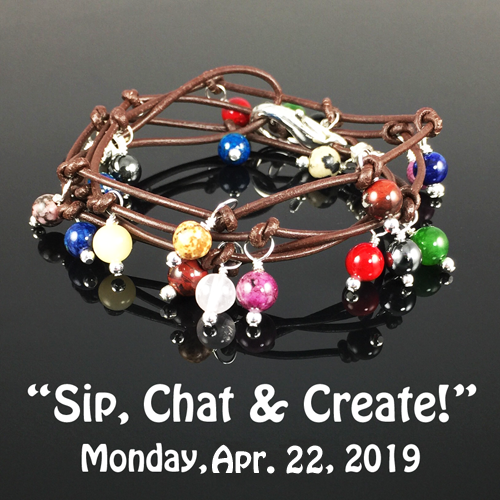 “Sip, Chat & Create!” Monday, April 22nd! Don’t miss out! Buy tickets today! 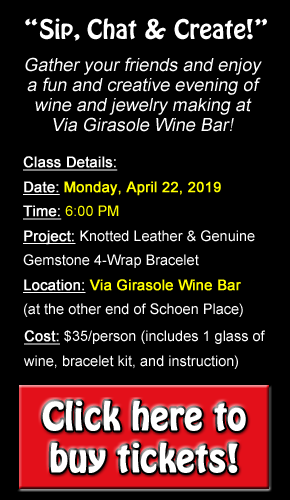 Take a Class at the Wine Bar! Gift certificates are good toward anything in our bead shop, including beading kits and finished jewelry! Click on your desired amount above and process your payment securely online, or call our shop to pay over the phone (585)586-7230. We can mail it to you or to your gift recipient for a small handling fee! Please Note: Gift Certificates are non-refundable.